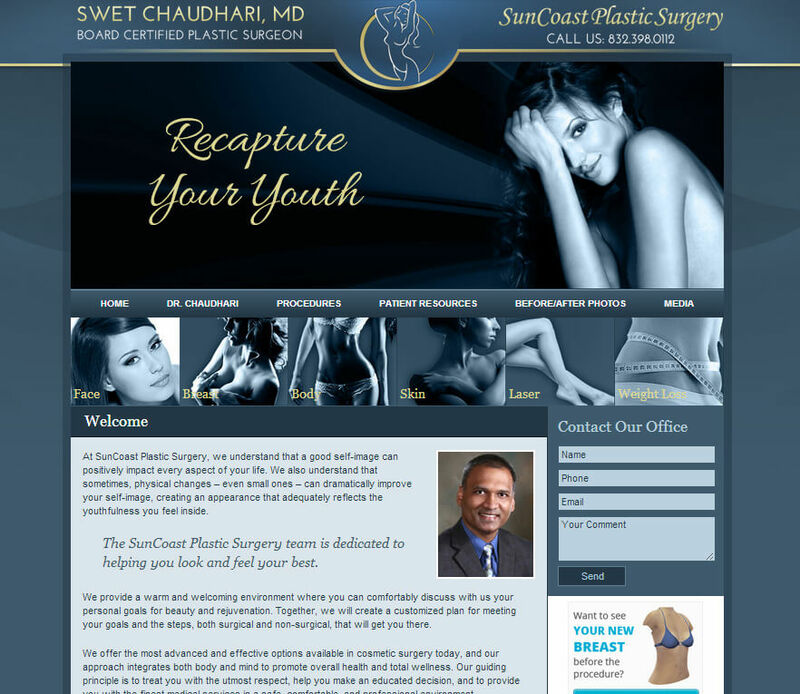 Suncoast Plastic Surgery came to us with a need for a site that he could work with. 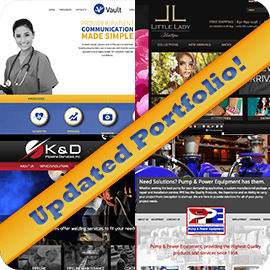 He wanted a new look AND the ability to edit his OWN site. His previous designer charged him constantly for every little change/tweak/addition to his site. 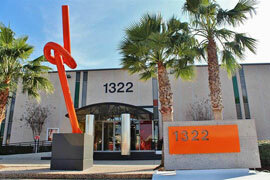 As a medical professional, he always has new content and information that needs to be updated. In addition, he was unable to add a gallery for his before and after photos and we all know that a plastic surgeons site without before and afters is not going to be effective. His site was bland and purely for educational purposes. It did not attract viewers or allow the company to showcase their creativity and organization or allow them to differentiate themselves from the massive amount of competition in the industry. We thoroughly enjoyed being given this task. The opportunity to bring a site from dreary and boring to exciting, interesting, and informative was great fun. For Suncoast, we created a fully custom medical website design on the most user-friendly platform available. We used the current branding of the company to incorporate dark hues of blue and gold and allowed the site to really showcase the excellent work that Suncoast is so proud to be responsible for. We also created a custom photo gallery that not only displays the before and after photos on the site, but also is set up in a very organized manner that allows the user to easily find which photos they are looking for while remaining very easy for the owner of the site to add/edit/delete photos from. We integrated the social media sites that the owner uses often and also included a news feed that brings focus to the upcoming events and recent accolades that the owner has received. Medical Website Designs often end up cluttered because of the amount of information that needs to be shown, but we were able to bring all of that information onto one site without bogging down the homepage or creating confusing navigation. The result is a beautiful, classy, informative website that Suncoast is now proud of.